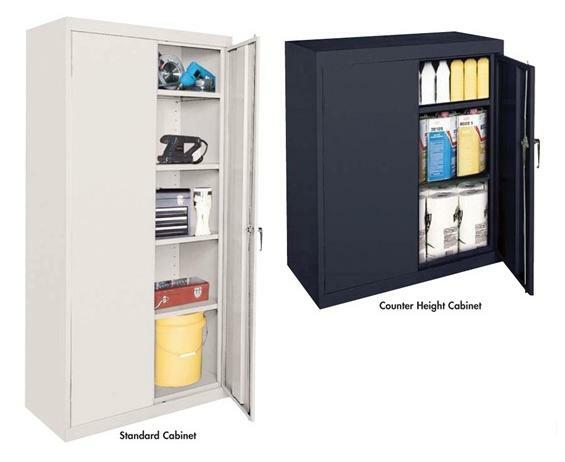 Adjustable cabinets adapt to your storage needs. Versatile storage cabinets use fully adjustable shelves on 2" centers with raised bottom shelf. Three point door locking system is reinforced with heavy-duty supporting door hinges on each door. Meets ANSI/BIFMA standards. Built with welded steel construction and baked enamel finish. Available in 5 standard colors: Charcoal, Tropic Sand, Dove Gray, Putty, and Black. Non-standard colors available for an up charge. FOB Shipping Point. 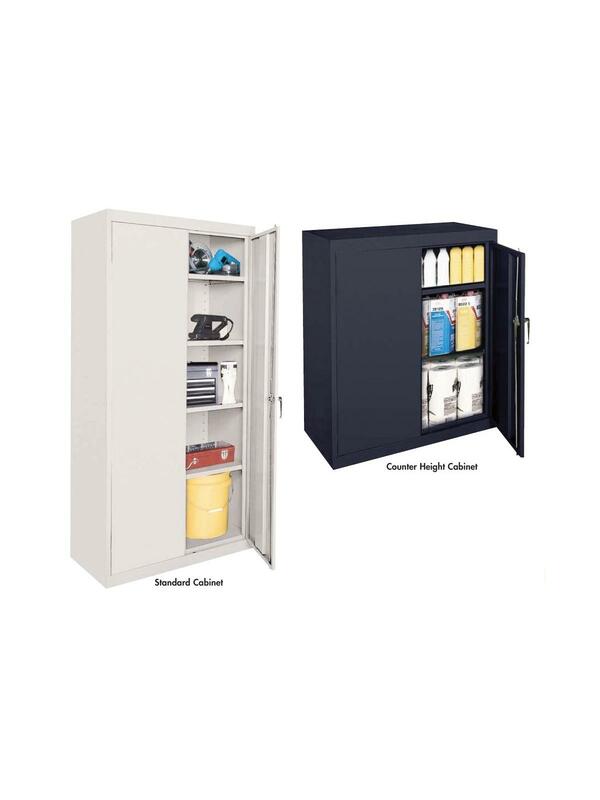 See Related Items tab for Janitorial Supply Cabinet - Value Line Series and Storage Cabinets - Value Line Series.